Having landed in Managua and been transported to Granada by your personal driver, it’s time to make the short trip across Lake Nicaragua to your first destination. Take in the sights and sounds of nature as you journey towards Jicaro Island and the luxury eco-lodge that awaits. Upon arrival, you’ll be shown to your spacious and authentically furnished private casita. It’s one of only nine on the island, so you won’t have to fear interruption, noisy neighbours, or hectic queues for the top-class facilities on offer. It’s time to relax, sit back and enjoy what Jicaro and Nicaragua have to offer. Watching the sunset over Lake Nicaragua, as the Mombacho Volcano sits magisterially on the horizon, is perhaps the definition of sublime. Everything at this eco-lodge is locally sourced, and the hotel is sincerely invested in protecting the serenity of the natural landscape and proving employment and opportunities for locals. Knowing that Jicaro is a sustainable hotel that is rooted in the identity of its surroundings will only add to your experience. Your three nights here will be spent making the most of the lodge’s ample facilities; Yoga classes on the lakeshore will relax mind and body, and taking out a boat, kayak, or paddleboard will allow you to explore Lake Nicaragua unimpeded. Of course, if you’re feeling too relaxed, then tours of the close-by city of Granada, and a rewarding hike up Mombacho Volcano will familiarize you with the history and soil of Nicaragua. Leave the pristine green of the sustainable eco-lodge to travel back to Managua where you’ll catch a short flight to your next destination; the paradisiacal Little Corn Island. Those averse to rushing around need not worry, however, as you’ll have plenty of time to explore Managua before you catch your flight. Absorb the amazing antiquity of this historic city as you explore the San Francisco Church and convent and climb the bell tower of Merced to get an awe-inspiring glimpse of the entire city and Mombacho Volcano. In Little Corn, it’s then time to retreat to the rustic, beachfront sanctuary of the Yemaya Hideaway & Spa. The soothing roll of the surf and the soft sway of the palm trees surrounding your cabana will help you settle in as you spend your first night in complete tranquillity. In the morning, jump in the water to discover the world beneath the waves as you dive in and amongst reefs that are home to vibrant tropical fish and schools of snapper. Explore further by kayaking and stand-up paddleboard before boarding the Yemaya’s sailboat to glide leisurely through the seas. 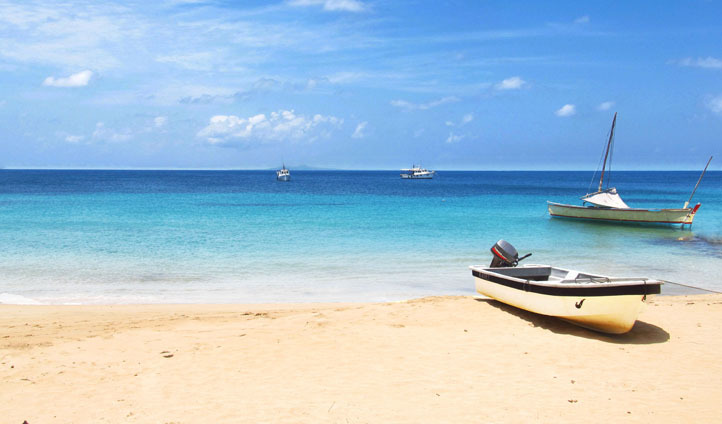 The next leg of your journey will take you to ‘Nicaragua’s Riviera’ – the Tola Region. The Mukul resort (a Mayan word for secret) is nestled in a dramatic landscape where the luscious jungle collides with the beautiful coastline. This secret slice of paradise will wow you with its setting, its attentive staff and top-class amenities. After days filled with activity, exploration and breath-taking views, we’ve pencilled you in for a little self-indulgence. A day at the spa’s ‘crystal temple’ includes aromatherapy treatments and energy-giving massages; after which you can recline on the expansive Manzanillo Beach. We’re keen for you to experience all that Nicaragua has to offer, however, so next you’ll be liaising with the hotel’s dedicated adventure guides to plan a hiking trip or bike ride through 12km of tropical nature trails. 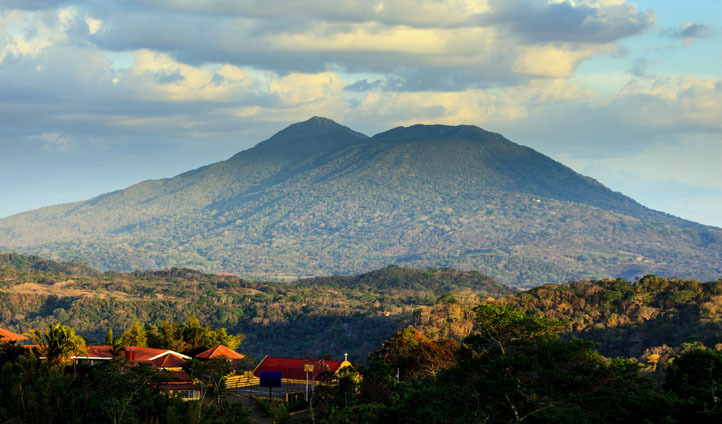 Expect to see monkeys, iguanas, and an assortment of tropical birds as you traverse lush Nicaraguan terrain. Could you envisage a more perfect way to end your time in Nicaragua? No, thought not. This is your gateway to an adventure in paradise.